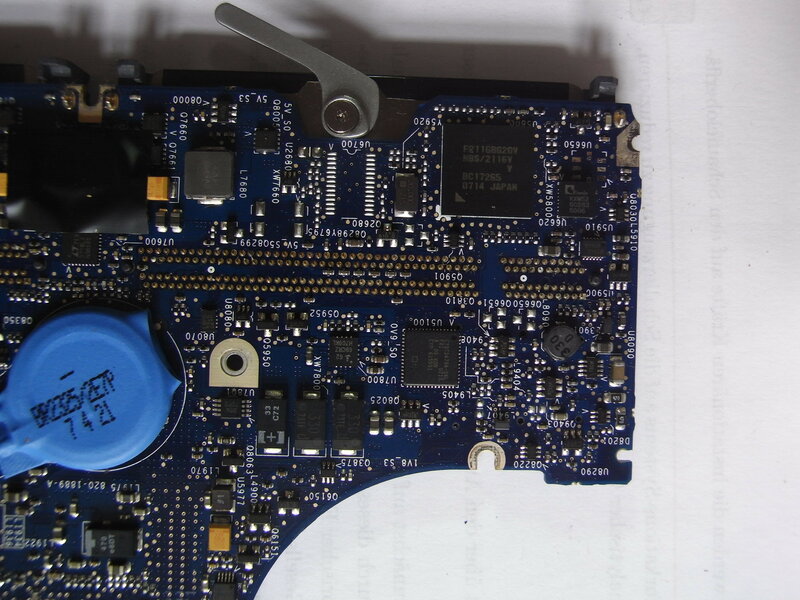 This page documents some effort for a possible coreboot port for the Macbook2,1. This page mainly exists because 1) I cannot keep all the things in memory and thus I possibly can recover from this page and 2) maybe you might be interested on this or for whatever reason might want to comment/help me with the project. 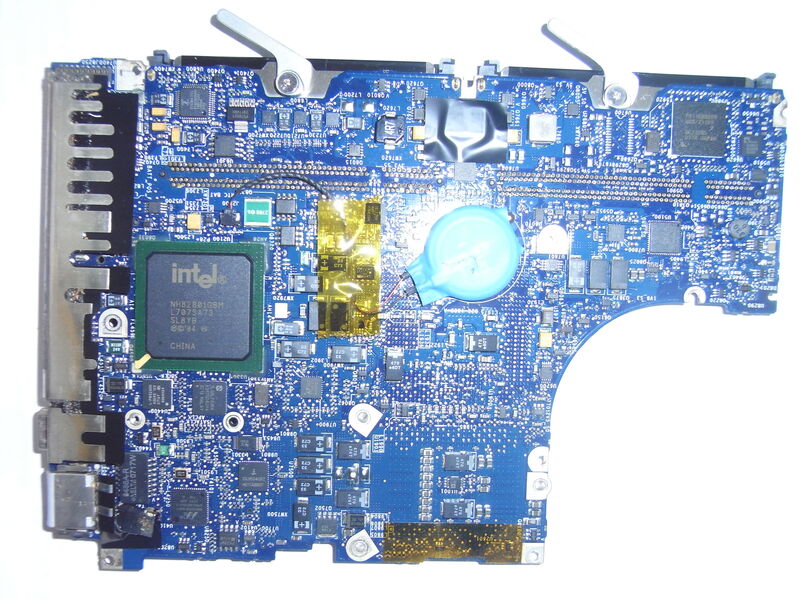 Logic board bottom side, top left. 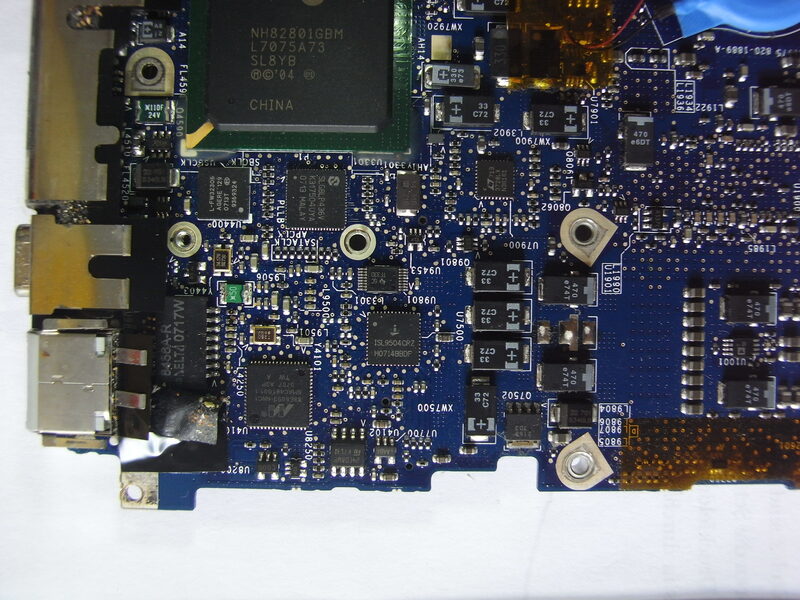 Logic board bottom side, top right. 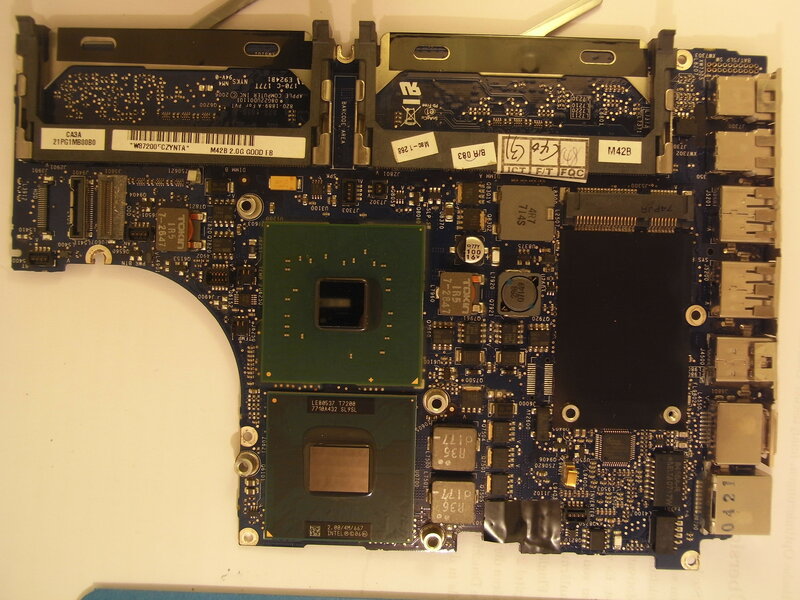 Logic board bottom side, bottom left. within Device (RP02) where to put these? Seems to be SST25VF016B. 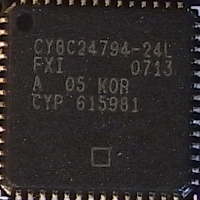 Nice, flashrom supports this chip. 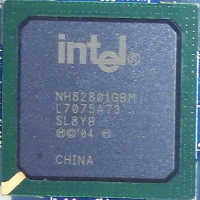 (Same chip as in my Thinkpad X60). What about those Block Protect things? 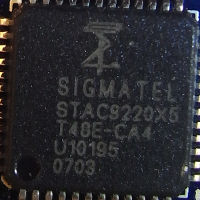 Would it be possible to write to the chip? Is there some trick necessary, e.g. as for Thinkpad X60? Not dumping EC IDX RAM. USB deport is available and apart from the IRQ and the Memory address it's the same as for the Thinkpad X60. On the Beaglebone Black add the patches from reference 1 to the kernel. Compile and install coreboot for the Thinkpad X60 with debug modus on. Power on the Beaglebone Black and load the kernel module g_dbgp. Disable some CR/LF translations on the device: stty -icrnl -inlcr -F /dev/ttyGS0. Connect the Beaglebone Black to the Thinkpad X60 with a standard usb cable before powering on the Thinkpad. Note: the correct USB port on the Thinkpad was found by trial and error. Two of the three USB ports simply keep silent during the power on, one USB port outputs the debug information. Found it. The kernel says it has the EHCI Host Controller at USB bus number 5 with the debug port at port 1. And lsusb says the USB stick is listed as port 1 on bus 5. Note that the bus number is not consistent during reboot. The appropriate physical USB connector is the one next to the Firewire connector. 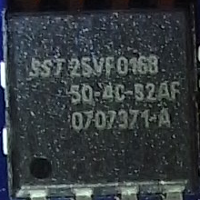 This connector is labeled J5200 on the PCB (see the above photo with the logic board top side). Assumption: Using the Beaglebone Black for monitoring this debug port should work the same way as for the Thinkpad X60. 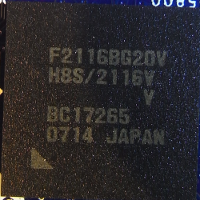 Question: Can the Beaglebone Black be used as an external programmer to write coreboot to the macbook's SST25VF016B chip? In list of supported external programmers for flashrom , the Beaglebone Black is NOT listed. But the Raspberry PI is listed. Reference  shows that the Beaglebone Black can write an EPROM chip via SPI. Flashrom is not used in that example and the EPROM chip is a different one. To disable spidev reboot the system (unload spidev with echo -7 > /sys/devices/bone_capemgr.9/slots crashes). Use flashrom on the Beaglebone Black with its /dev/spidev1.0 to write a coreboot.rom file to new SST25VF016B chip. The CBFS header starts with the magic number 0x4f524243 which is equal to the ASCII-characters ORBC and the CBFS version 0x31313132 (Version 2). It follows the rom size 0x00200000 (2 MiB), the size of the boot block 0x00000638 (1592 bytes), the alignment boundaries of the above shown rom content objects 0x00000040 (64 bytes), the offset of the first stored object 0x0000000, the architecture for which coreboot.rom was built 0x00000001 (x86) and the padding 0xffffffff (not sure about this. may its the pattern that fills empty space?). Directly following the header begins the boot block and fills coreboot.rom up to its very end. bootblock_mainboard_init() in bootblock_simple.c calls bootblock_northbridge_init() and bootblock_southbridge_init(). bootblock_mainboard_init() may also sanitize CMOS using cmos.default before passing to the ROM stage in "fallback/romstage". bootblock_northbridge_init() sets some address for PCIEXBAR given by CONFIG_MMCONF_BASE_ADDRESS=0xf0000000 (3.75 GiB). bootblock_southbridge_init() calls enable_spi_prefetch() (enables prefetching and caching?). Assumption: Use the same configuration for the boot block on the Macbook2,1 because it has the same northbridge and southbridge. Enable local acpi. enable_lapic() is defined in src/include/cpu/x86/lapic.h and seems to be mainboard independent. --> Copy this. 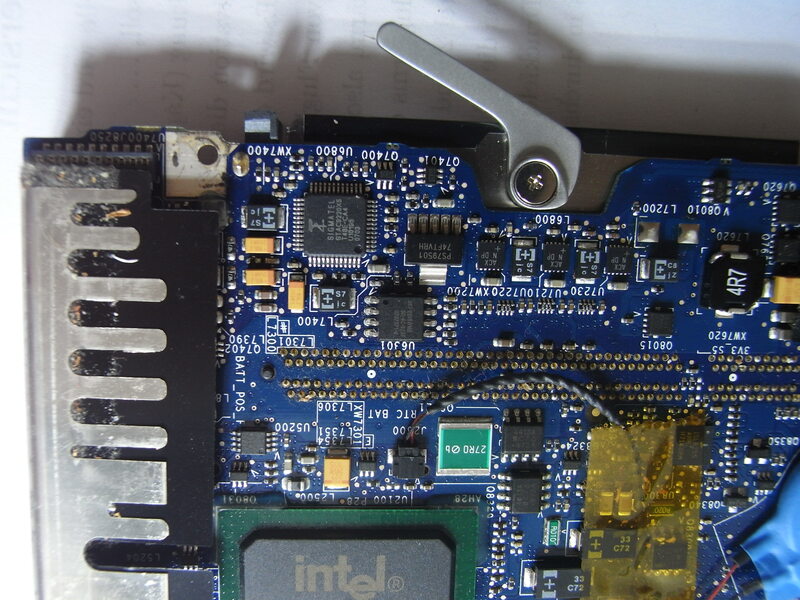 Force PCI reset (PCIRST). This seems to be done for all mainboards with Intel 945GM northbridge and Intel 82801GX southbridge. --> Copy this. The Southbridge datasheet explains the registers on page 363. ToDo: Find a strategy whether to reproduce the Thinkpad's or the Macbook's values. Eventually resume memory from S3. That's it. main jumps back from whereever it was called.